Lombardi didn’t do things halfway. Neither do the guys at Packerpedia. Mike and Dan Conklin bring you their unique brand of Packers talk, combining their passion for football with an eye on statistical analysis. 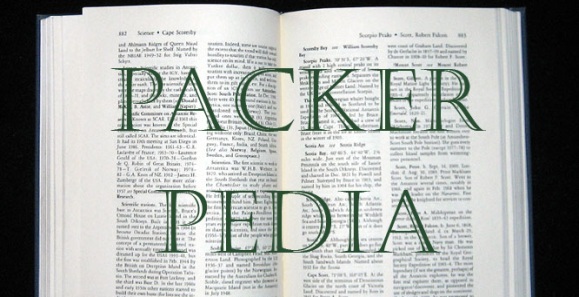 For smart, relevant, and comprehensive talk about the current state of the Packers, check out the Packerpedia Podcast weekly on the Packers Talk Radio Network. Be sure to follow them on Twitter at @Packerpedia, and visit their site at www.packerpedia.com. Mike Conklin: Mike is a lifelong Packers fan who was born and raised in the heart of Bears country in Illinois, but the football gods had a higher calling for him than to become a fan of his local team. When he was a boy he had a dartboard in his room that he would surround with pictures of Bears players he cut out of the newspaper. Somehow, the darts kept missing the dartboard and ended up hitting the pictures of the Bears players. His parents weren’t amused by the hundreds of little holes in the wall all around the dartboard. Mike’s degree was in broadcasting, but he ended up pursuing a career in banking. The podcast allows him to think that maybe his education wasn’t completely wasted. Dan Conklin: A few years older than Mike, Dan’s formative years as a boy were during the Lombardi era. Despite the fact that he was raised in southern Illinois, he gravitated to the Packers during that decade of dominance and never looked back. He and his family currently live in North Carolina. Dan has pursued a variety of interests, even including spending time in the ministry. He has degrees in both management and finance, and currently works for a government agency. His love for the Packers runs deep, and he enjoys his role as co-founder of Packerpedia.